Reach more people & earn more revenue. A simple way to publish & monetize your content, everywhere. We provide the service to get your started and the software to help you manage and monetize your video content. Do you have beautiful, compelling, engaging, entertaining or educational video content? Do you want to monetize your video with ads, subscription or pay-per-view? 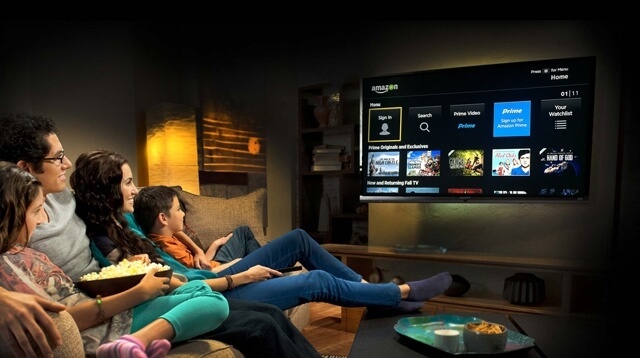 Do you want to reach the family room TV via devices such as Roku, Amazon FireTV and AndroidTV? Do you have the desire to have a 24/7 linear playout broadcast schedule? We are proud to say that our video management software has been built with these two words in mind: simple; usable. FASTHockey was looking for an experienced connected TV partner to plan, deliver, and execute our OTT strategy. With nearly 500,000 customers, and streaming over 20,000 ice hockey games annually, we knew we needed the very best technology partner. The obvious choice was IMAVEX—combining a really great team with a world-class technology platform (Streamotor) made it a no-brainer for us. Great job team! Really appreciate the quality of work that you do and your professionalism. Thank you for helping me brand, produce and market Golf’s Lifetime Lessons with Martin Hall to the world. You truly have captured my vision and my heart to pass on what I call 'wisdom from the ages' to the golf community I love so dearly and have served for so many years. I have received several enthusiastic and positive comments in regards to last night’s Sports Illustrated LIVE stream. I just wanted to pass this on to you and let you know that all the praise is in large part to your team and the fantastic job you did.